Vacation in Aruba to experience luxury and relaxation. 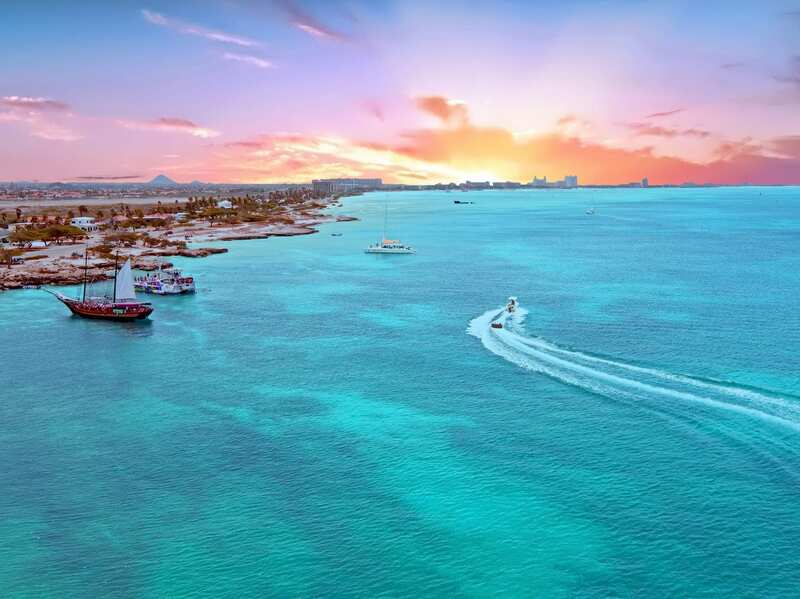 Gorgeous white sand beaches, luxury resorts, and glitzy casinos make Aruba an unforgettable destination for honeymoons, romantic getaways, and destination weddings, too! Between its Dutch influence, divi divi trees, and sapphire seas, this island will have you wishing you booked a one-way ticket. With two distinct sides (the Caribbean side and the Atlantic side), Aruba offers a unique ambiance that can’t be found elsewhere. The calm, Caribbean water that hugs the east side of the island is perfect for snorkeling colorful coral reefs, while cooling trade-winds set the stage for a variety of water sports. The Atlantic side of the island is beautifully rugged with historic lighthouses and windmills, where the ocean crashes over rocks and cliffs like a scene from a movie.